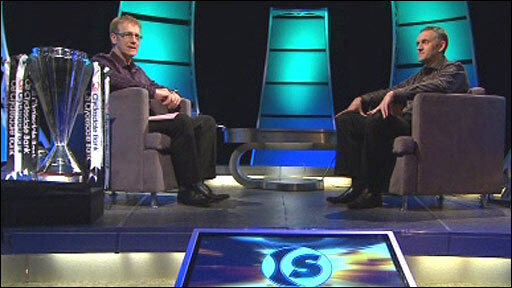 Ever wondered what the theme music to the current series of “Sportscene” is? 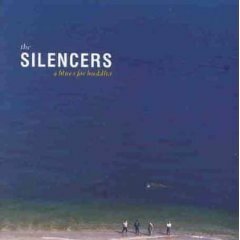 The Silencers are one of my favourite groups and I came across them several times in the mid-late ’80’s when I worked at Tennents as they at that time their song “Answer Me” from the great album “A Blues For Buddha” was used in the lager television adverts. Before forming The Silencers, vocalist Jimme O’Neill and guitarist Cha Burns were active in London’s new wave music scene. O’Neill wrote songs for Paul Young and Lene Lovich, while Burns played guitar in Adam and the Ants. O’Neill, who, in the mid 1970s, had worked for a time as a clerical assistant in the Department of Health and Social Security, released a single for Oval Records in 1975, “Achin’ in My Heart”/”Cold on Me”, under the name Jimme Shelter (a throwback to the song, “Gimme Shelter” by The Rolling Stones). In 1979, they met and formed a post-punk/new wave project called Fingerprintz, and released three albums under that name: The Very Dab, Distinguishing Marks and Beat Noir. They earned some critical recognition and notable appearances on John Peel‘s BBC Radio 1 show and the BBC’s In Concert radio series. The group split in 1985. Then O’Neill formed a duowith electropop singer Jacqui Brookes and they released two singles in 1983: “Haunted Cocktails” and “Lost Without Your Love”. When Brookes subsequently released solo album Sob Stories, O’Neill wrote or co-wrote a majority of the tracks and played guitar and other instruments on the album. Soon O’Neill and Burns were playing music together again, this time joined by drummer Martin Hanlin and bass player Joseph Donnelly, a cousin of Simple Minds singer Jim Kerr. After considering band names like ‘My Granny’s Green Chair’ and ‘The Hot Dog From Hell’, they settled on ‘The Silencers’. In September 1986, they began to tour Europe and the United Kingdom. They demoed three new songs at Scarf Studios in London: “Painted Moon”, “I See Red” and “I Can’t Cry”. The demos earned them a recording contract with RCA Records, and their song “Painted Moon”, about O’Neill’s personal reaction to the Falklands War, was included on the soundtrack to the film The Home Front, and then released as their first single in April 1987. Their first album A Letter from St. Paul included re-recorded versions of all three demos. The Pretenders invited the band to support them on their European tour, and then the success of Painted Moon across the pond induced a tour of the United States on their own, and later with Squeeze. In 1988, The Silencers toured Europe with The Alarm and Painted Moon became a radio hit in the UK. The band moved back to Scotland and recorded a second album A Blues for Buddha at CaVa Studios in Glasgow, with Flood producing. The standout tracks were “Scottish Rain”, about love and fallout from Chernobyl, and “The Real McCoy” which became a fan favourite. The band then toured Europe with Simple Minds for four months, culminating with a stadium show at Wembley in front of 80,000. After the tour, the band began work on third album Dance to the Holy Man, but personal conflict derailed the process. Donnelly and Hanlin left the band, and were replaced by Tony Soave on drums and Lewis Rankine on bass. The album, a departure from the band’s “guitar-based atmosphere pop”, was recorded during the summer of 1990. It included funk, blues, and Celtic strains. The single “Bulletproof Heart” became a big hit in Spain and France, where the band had success at that time, but album sales lagged back in the United Kingdom. Coatbridge-born JJ Gilmour joined the band as a second male vocalist before another tour of Europe, and Stevie Kane joined the band, replacing Rankine during the tour due to personality conflict. Deeply in debt to RCA and not having the expected success in the UK, The Silencers were in danger of being dropped by their record label despite their success throughout Europe. However, after label representatives saw an impressive live show they allowed the band to begin work on fourth album Seconds of Pleasure. “I Can Feel It” (the video for which featured a cameo role from Frances Corrigan, O’Neill’s daughter’s friend from Coatbridge) is, true to form, a hit in Europe and ignored in the UK. Without tour support from RCA, the band financed its own tour to Switzerland, France and Scotland. 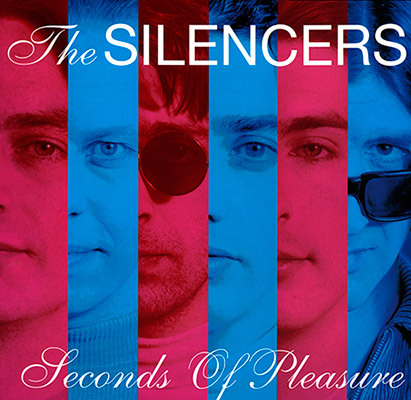 In 1994, The Silencers signed to new labels: Permanent for Britain and BMG for France. 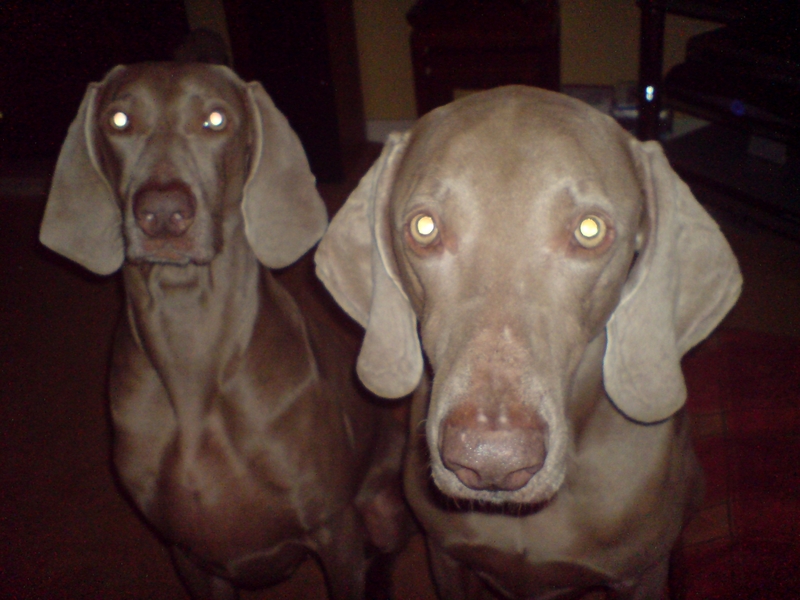 That summer they recorded the song “Wild Mountain Thyme”, featuring O’Neill’s daughter Aura on vocals. It became a hit in Scotland after featuring in a tourism board advertising campaign. Soon after, they completed fifth album So Be It. After a mid-1996 tour of Europe, Gilmour and Soave left the band. After several years of writing with other artists, Gilmour released his first solo album, Sunnyside P.A.L.in 2002 for ic-music/Edel Records. The album was recorded in New York and produced by Dan Wise (who also produced Joan Osborne). Sunnyside P.A.L. was dedicated to the memory of a childhood friend, Paul Anthony Lennon, who had recently succumbed to cancer. Lennon and Gilmour had shared much of their childhood exploring the Sunnyside area of their native Coatbridge, and the first single from the album “Me and You” was heavily play-listed by the French radio station Europe 2. Despite the album’s substantial critical success, it suffered from lack of promotion and distribution, as Edel closed down its Paris office later in the year. For the next few years, Gilmour concentrated on touring, supporting Bob Geldof and Ocean Colour Scene, among others. In 2006, Gilmour was approached by Miles Copeland, who secured a contract for his second solo album. The Boy Who Didn’t Fallwas recorded in Scotland in late 2007, and released on adn/Universal Records in France and adn/BMG Records in Italy and Belgium in February 2008. The first single from thealbum, “If You Don’t Give Me Love”, was released in December 2007. Jim McDermott of the Kevin McDermott Orchestra joined on drums and Aura O’Neill became a permanent member of the band. The year 1996 brought the release of singles compilation Blood & Rain, and The Silencers took several years off from recording. In 1999, the band worked on seventh album Receiving, which was financed by money from festival appearances in Europe. Speaking of the new record, O’Neill said, “Some of the new tracks were recorded as if this was a different band. I wanted to forget about everything we’d done before and some of what came out reminded me of Fingerprintz – new wave for the nineties!” The experimental nature of the songs, he said, was inspired by the influence of Jack Kerouac, William Burroughs and Charles Bukowski. In 2001, the band released their first live album, A Night of Electric Silence, recorded in Glasgow in 2000, with McDermott on drums, Kane on bass, Phil Kane on keyboards, O’Neill on guitar and vocals, Milla on violin and Aura O’Neill on vocals. In November 2004, Comewas released, featuring the tracks “Siddharta”, “Let It Happen” and “Head”. However, by this time most of the band’s albums were out of print. In July 2006, Baptiste Brondy, a 20 year-old French drummer, replaced McDermott. Burns died on 26 March 2007, in Prestatyn, Wales, of lung cancer. He was 50.